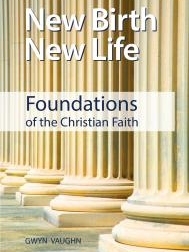 Pastor Vaughn has published his 3rd book, "New Birth, New Life, Foundations of the Christian Faith". and share what he believes they should know in order to live a successful Christian life, these are the things he would tell them. Pastor's book is available at the introductory price of just $7.